Here are a few tailgating tips and tricks from fellow Knights fans that are sure to score points with your guests. In July 2015, the Limbitless Solutions team made its first international donation of a custom robotic hand to 6-year-old Paulo Boa Nova from Brazil. And a film crew documented the entire process for the UCF Impact campaign. 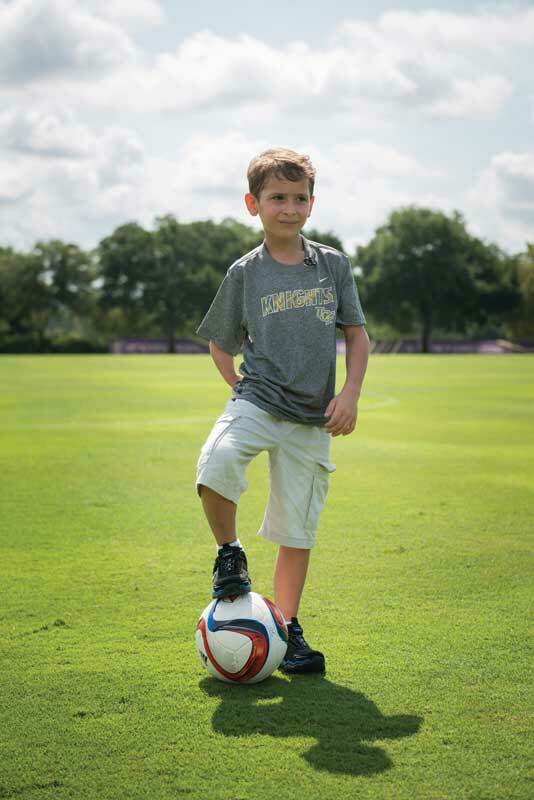 Paulo was born without part of his right arm because of a genetic defect. 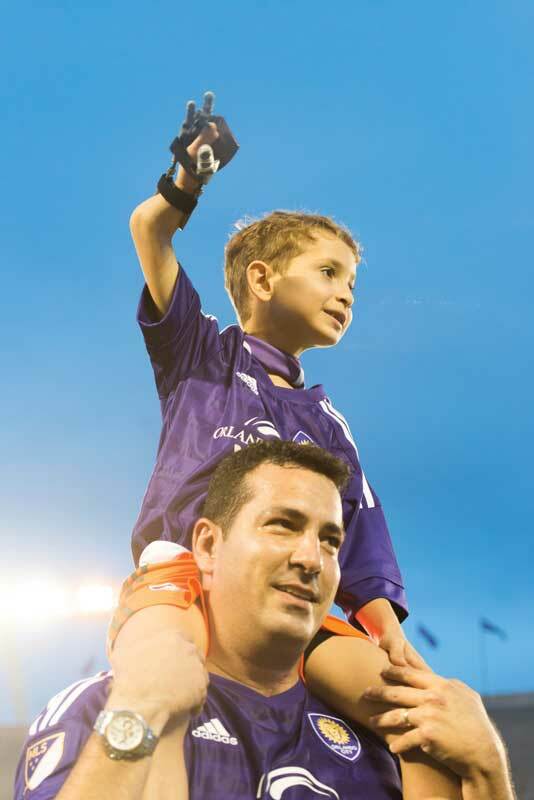 The new arm, made with 3-D printed materials and themed after one of Brazil’s soccer teams, was given to the family for free. 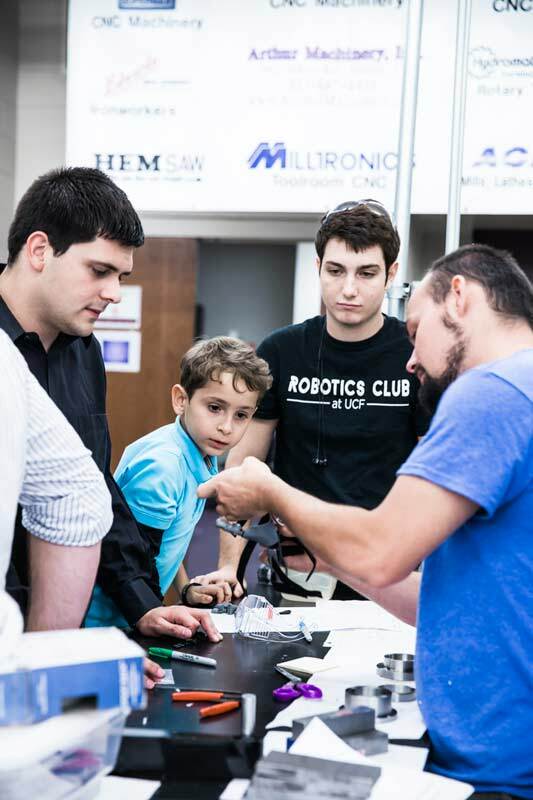 During Paulo’s visit to UCF, cameras captured the process of fine-tuning Paulo’s new arm with members of the Limbitless Solutions team, including executive director Albert Manero, ’12 (far left). Inside the College of Engineering and Computer Science Machine Lab, Carmen Henriquez, Limbitless Solutions electronics lead, helped Paulo learn to use the bionic device. 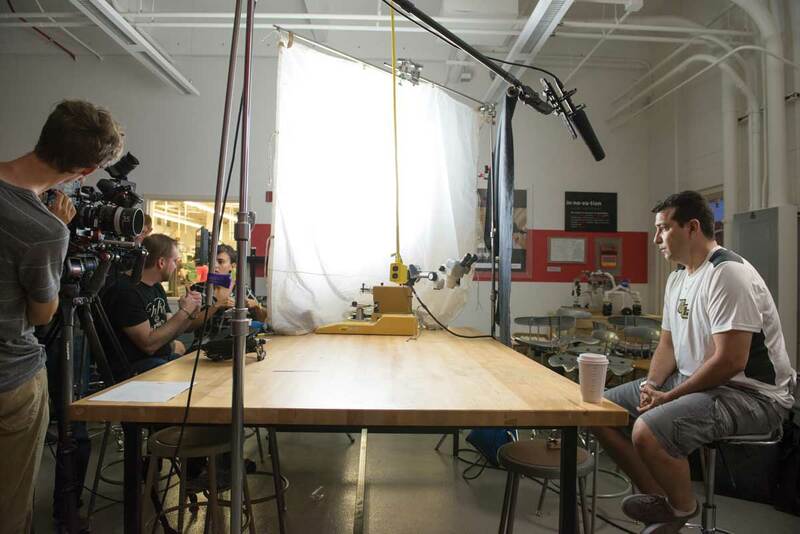 While the video presents a rare glimpse inside this Limbitless Solutions project, it also offers insight into UCF’s new “Impact” campaign, which highlights the positive effects students and alumni have on Central Florida and beyond. 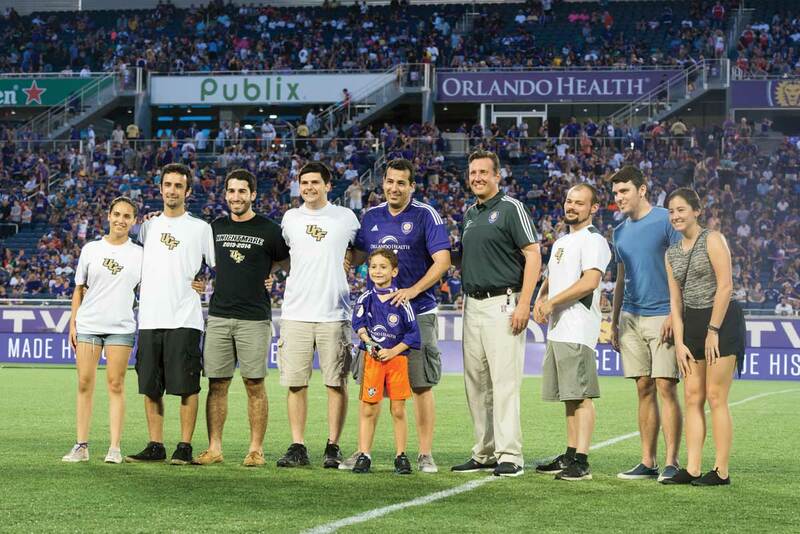 To celebrate, Paulo and his father, along with members of Limbitless Solutions, were recognized during the July 18 Orlando City Soccer match at the Orlando Citrus Bowl.